Camping is one of the greatest pastimes, and a camping trip is a classic vacation that is chock full of benefits. Getting out into nature has amazing benefits to both our bodies and our minds, whether you are planning on doing a more sporty activity, such as fly fishing, or simply want to take some calming walks around beautiful scenery. Natural views force us to get outside of our own heads, relaxed in serenity and balance. For those of us who enjoy the mountain west, we love to get that natural serenity from the mountains. There are many things that you can do to enjoy more time in the mountains, from hiking to climbing. However, camping might be one of the best ways. It allows you to truly spend time out in the wild. However, if you’re heading out into the mountains with your friends or family, there are some things that you should know and prepare for first. Always be careful with the tools you are using, such as if you are using a knife to help get your campfire ready. 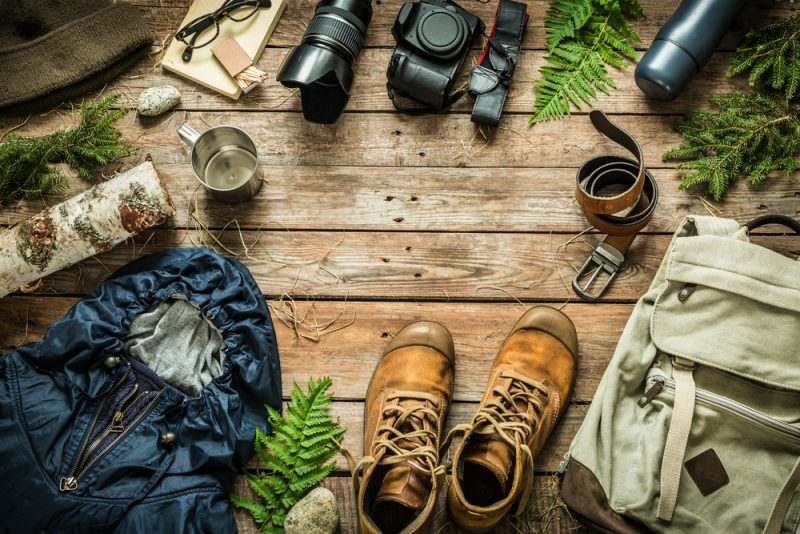 Use the right gear, such as hiking boots. Have a first aid kit that is completely full (be sure to restock after you’re done with your trip). Don’t camp alone, unless you are an incredibly experienced camper (in which case, this article may not be needed). The Mountaineers organization gives out a Ten Necessities list, which details some of the most vital things that you’ll need while camping. Even if you don’t think that some of the following apply for you, consider including them in your pack, or even just permanently keep a lot of these things in your car.. You never know when you’ll find yourself in need of a navigation system, for example. Those who aren’t familiar with the mountains are usually surprised by the weather. Even in the height of summer, nights in the mountains will drop below freezing. It’s also important to understand how quickly the weather can change. It can transition from a freezing rainstorm one minute to blazing hot, exposed sunlight the next. The most common danger to campers is exposure. Check the weather ahead of time and plan accordingly, but remember that it could all change, and so you’ll want to have gear that helps you adapt to any temperature and all precipitation. As scary as the wildlife can be, the truth is that you are much more likely to be in danger from exposure to the elements. As mentioned earlier, even in the summer the mountains can get freezing cold. If your body has been taxed through intense physical activity, and you’re also low on water in the body, it’s easy for your body to go into shock, or to experience hypothermia. Bring plenty of warm clothes, cover up to avoid too much sun, and stay hydrated. When you’re doing your research for the trip, look up information about the particular area. Each zone will have different facilities available, different natural resources, different locational safety concerns, and different threats from wild animals. Contacting the forest service ahead of time will also help you understand what the standards are for waste, water safety, and preventing wildfires. You can also get information about the local trails, and understand whether you need to have a permit for backcountry camping. 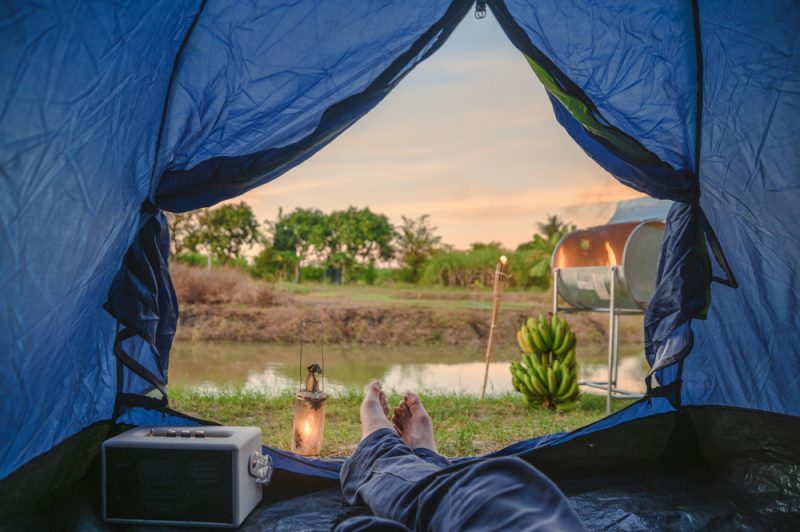 Camping, and other forms of traveling, are an incredibly therapeutic way to inspire you and encourage you to live a happier and more purposeful life. 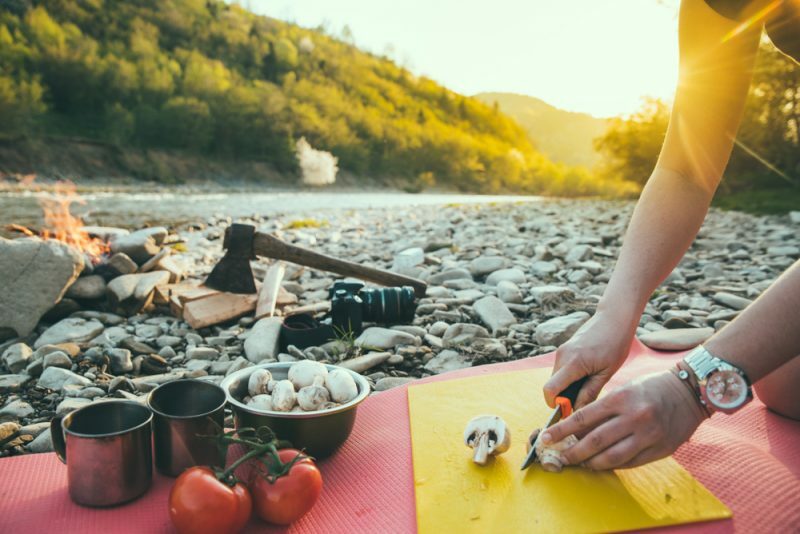 Get the most out of your camping experience by learning what you can about the scene around you, from the geological background to the plant and animal life that surround you. You can also get more spiritual and mental benefits from spending some solitary time while camping. Considering stepping away in order to do a personal walk, a workout, or even to write independently in your journal. Speaking of animals, that’s one of the most common concerns when people are out camping. Sure, there are predators like bears and mountain lions that you should be careful about. However, you are much more likely to come across other wildlife that will inconvenience your trip and even threaten your health and safety. In order to prevent danger from critters both large and small, store your food safely (in bear country, this means either in a bear box, or strung up from a tree a ways away from your camp.) You can also prevent problems by simply making noise where you go, and showing general respect for wildlife and their habitats.